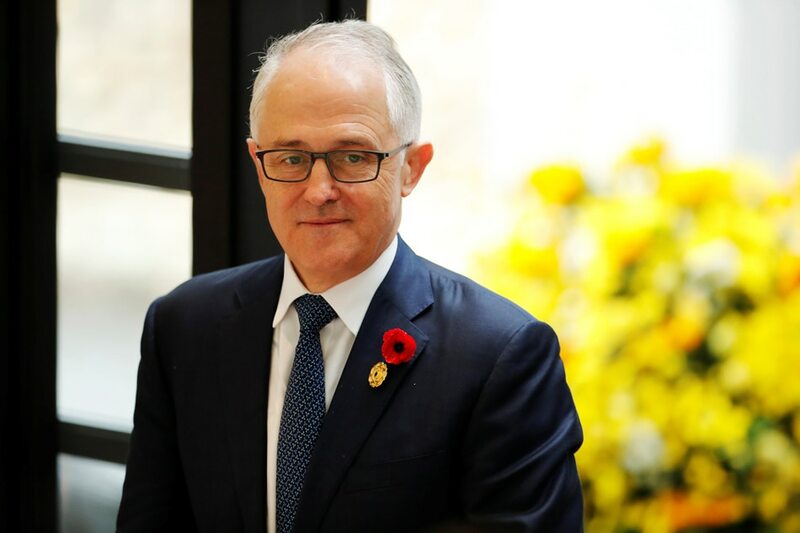 WASHINGTON - U.S. President Donald Trump will meet with Australian Prime Minister Malcolm Turnbull at the White House on Feb. 23, the White House said in a statement on Thursday. "The president and prime minister will discuss a range of shared bilateral, regional, and global priorities, including fighting terrorism, promoting economic growth, and expanding security and defense cooperation in the Indo-Pacific region," the statement said. Trump and Turnbull last met in November on the sidelines of a summit of East and Southeast Asian leaders in Manila. The meeting included Japanese Prime Minister Shinzo Abe, and the three leaders discussed trade issues and the threat posed by North Korea's nuclear program. The relationship between Trump and Turnbull got off to a rocky start. Trump spoke to Turnbull a few days after the U.S. president took office in January 2017, but Trump broke off what was supposed to be an hour-long conversation after a tense 25 minutes. The Republican president became irritated that he was expected to honor an agreement made by his Democratic predecessor, Barack Obama, to accept 1,250 refugees. In the end, Trump decided to honor the agreement.